New at fresh! Cuddly and soft…. | Welcome to the Fresh Blog! These are the softest blankets we’ve ever felt. Wrap your little one in a cozy Little Giraffe blanket – blue, pink, pale green, yummy chocolate brown. 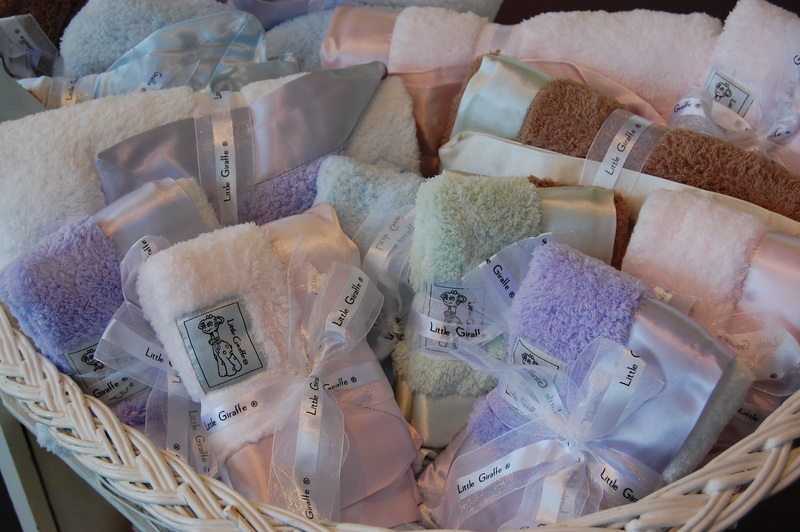 The blankets and a smaller version, the blanky, are the perfect gift for a special baby. Silvana Segulja is a great local jewelry designer and we are fortunate to have her work at fresh! 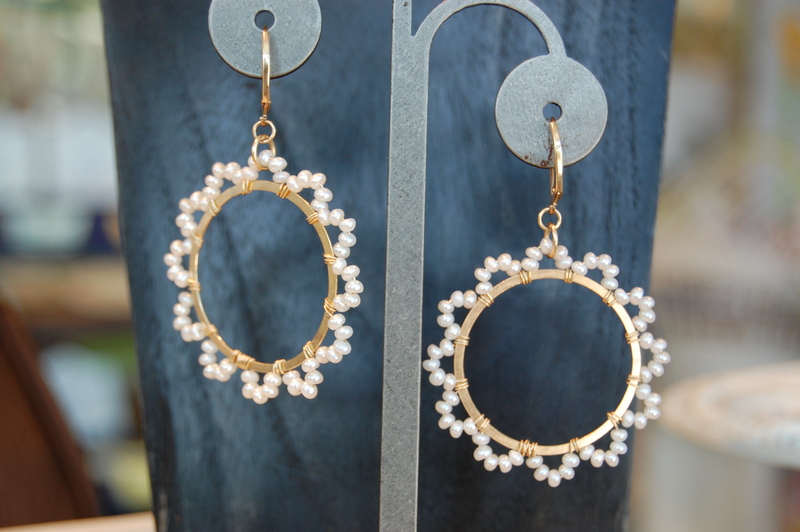 We love her designs, especially these incredible gold and pearl hoops. She uses high quality pearls and gemstones, such as garnet, moonstone, and aquamarine, to make heirloom quality necklaces, pendants and earrings. Come in and see all of her beautiful designs! We have exciting new charms at our Charm Bar! Glass tile charms, Scrabble tile charms, and city charms by Cyncity Pendants. Each charm purchase includes a ball chain plus, for a limited time, a free pewter charm of your choice! Watch your mailbox for our coupon from Valpak! It is also available from the Valpak website, http://www.valpak.com, so print it off and bring it in for great savings from now until September 30th!